I put a lot of detail into this cute painting. 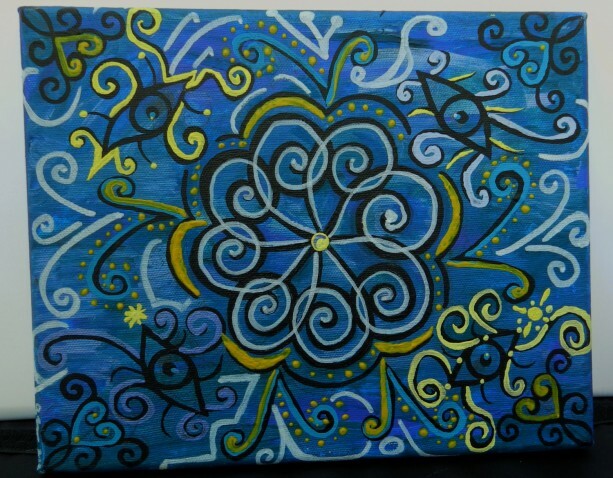 It has a mixture of blues in the background. It also has yellow and white accents. The size is 8" by 10" and could be framed if you so desire. I used acrylic paints and a paint marker. I started this piece in 2011 and just finished it this year.